Hey fellow Savers! January is officially over. January always feels so long, and though February is short it’s got an important holiday right in the middle: Valentine’s Day! This is a time to celebrate all things love, love for your significant other, your children and even your friends. Here at WDW Discount Club, we are pros at saving you money! We have some WDW inspired gifts to give the people you love. All of these gifts are under $30 and can be given to any WDW lover. The Disney Store is a great place to find really awesome gifts. Right now they have some really awesome Tsum Tsums that make a great gift. You can even buy a few since they are conveniently priced at $5.95. Our favorite is the Wreck-It Ralph one! A great date night idea is to go see Ralph Breaks the Internet and give your sweetie one of these cute Tsum Tsums. If your girlfriend or daughter is a HUGE fan of the movie Frozen and cannot wait for Frozen 2 to come out later this year, you might consider getting them this awesome Anna Pen. It is a great addition to any Frozen Collection. Who would not love a cute plush bean bag character? shopdisney.com has a wide selection of cute and cuddly bean bag characters. We are sure you will find your favorite. Our favorite is this cute Groot from Guardians of the Galaxy. Does your daughter or wife dream of being Jasmine? I know I do! Aladdin was one of my favorite movies growing up. 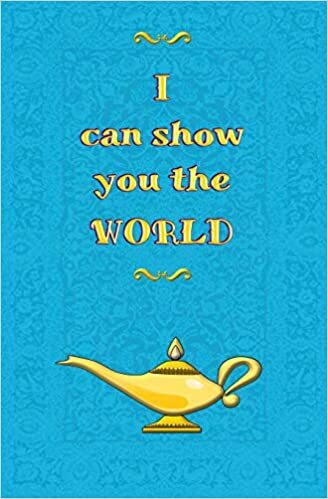 I know I would love the person who got me this: I Can Show You the World: Blank Journal Movie and Broadway Musical Quote. Amazon has a great deal on it. You will def win her heart with this sweet gift. Our friends at Lillian and Co. have a great selection of WDW inspired jewelry. The lady in your life will love one of these cute bracelets. Each has a different saying from a different Disney movie. You know her favorite movie so just pick that one. The absolute best part of this gift is that WDW Discount Club members will save 10% when they use the code on our website. Valentine’s Day is really a special day to celebrate the special people in your life! You don’t have to go all out and spend big to show them how much you love them. All you need to do is order one of these great gifts and go pick up their favorite WDW candy from your local drug store and you have the perfect WDW Valentine’s Day while staying within your budget.